At Barry University, we offer more than 50 graduate programs at the master's, specialist, and doctoral degree levels. Although many of our programs are offered in Miami Shores, Florida, we also offer a Juris Doctor (JD) at the Dwayne O. Andreas School of Law in Orlando, Florida and education degrees in The Bahamas. At the School of Professional And Career Education, graduate programs are offered at many locations throughout Florida for those who want a Barry education, but cannot commute to the main campus. Ranging from Podiatric Medicine, to an MBA, to Social Work, we offer many fields of study to help you achieve your goals. Through our Physician Assistant (PA) program, a growing role in healthcare, you will graduate as a well-trained care provider. At our Adrian Dominican School of Education, you can choose from 15 different programs ranging from master's to doctoral degrees. If a dual degree or specialization is what you are looking for, we offer an array of options. While earning a Master of Business Administration (MBA), you could also earn a Master of Science in Sport Management (MS) or Master of Science in Sport Psychology (MS). 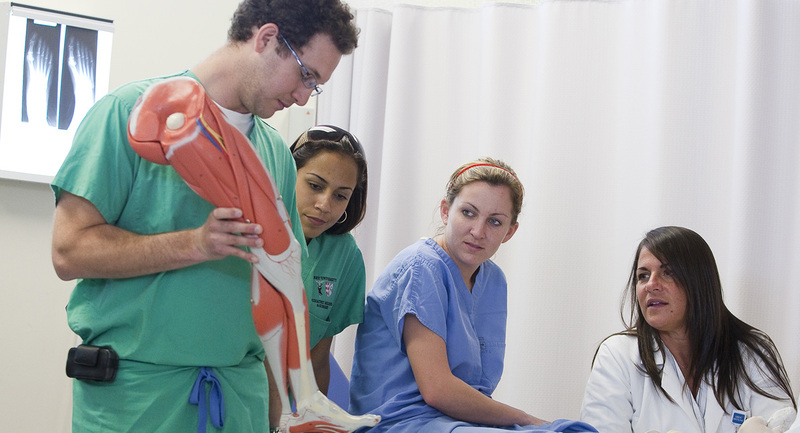 If you are looking at our Doctor of Podiatric Medicine (DPM) program, you could also pursue a Master of Business Administration (MBA) Our Master of Science in Health Services Administration (MS) and Master of Public Health (MPH) dual degree program is a popular option for students wanting to advance in the healthcare industry. We invite you to explore the endless opportunities at Barry University! Counseling (PhD) Specialization in Marital, Couple, and Family Counseling/Therapy The Doctor of Philosophy (PhD) program in Counseling is CACREP-accredited and provides a specialization in marital, couple, and family counseling / therapy for students who hold a master's degree in counseling or a related discipline from a regionally accredited college or university. The program trains students for leadership positions in counseling and related fields. Curriculum and Instruction (PhD) Specialization in Curriculum Evaluation and Research Prepares graduates for positions as evaluators, scholars, and researchers in academic, governmental, and non-profit research institutes. This specialization emphasizes interdisciplinary perspectives, theories, and methodologies related to contemporary issues in curriculum, instruction, and assessment. Curriculum and Instruction (PhD) Specialization in Early and Middle Childhood Education Prepares professionals who can conduct research on the care, education, and welfare of young children, but also provide programs and services that are developmentally appropriate for children of varying ability, culture, and language. In addition this specialization prepares professionals to work in urban, multicultural environments where policy decisions, issues, and curriculum development require careful study and analysis. Curriculum and Instruction (PhD) Specialization in Reading, Literacy and Cognition Designed for individuals who aspire to university teaching, policy, research, and curriculum development positions in reading and literacy related fields. The goals of this specialization are to produce scholars who will enhance the knowledge base of curriculum and instruction for literacy; provide leaders for all levels of reading instruction, in the design, implementation, and evaluation of educator preparation programs; and prepare individuals who can provide expertise and leadership to the evolving field of reading. Curriculum and Instruction (PhD) Specialization in Special Education The doctoral program prepares you for career positions in community, state, and government agencies; classroom teaching, and personnel preparation positions. 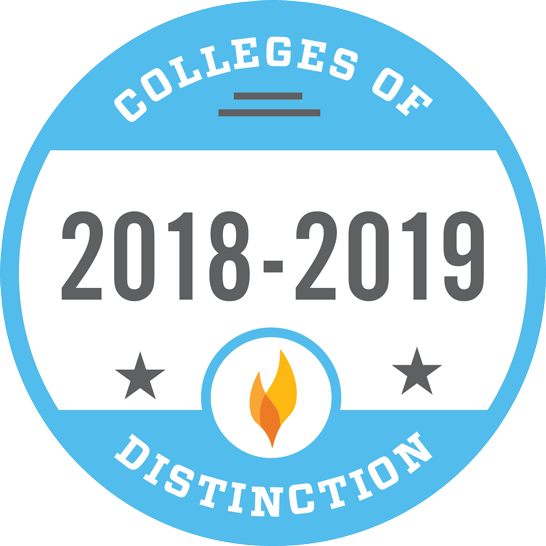 Although the program orientation is non-categorical, you will have the opportunity to develop expertise in one category of exceptionality (i.e., Specific Learning Disabilities, Intellectual Disabilities, Emotional and/or Behavioral Disorders, or Autism) by completing the Seminars in ESE, the elective course(s), and the dissertation. Curriculum and Instruction (PhD) Specialization in TESOL Emphasizes second language and literacy acquisition as well as bilingualism, thereby preparing professionals for academic positions in the United States and abroad. Early and Middle Childhood Education, Curriculum and Instruction (PhD) Prepares professionals who can conduct research on the care, education, and welfare of young children, but also provide programs and services that are developmentally appropriate for children of varying ability, culture, and language. In addition this specialization prepares professionals to work in urban, multicultural environments where policy decisions, issues, and curriculum development require careful study and analysis. Educational Leadership (EdD) This educational doctoral (EdD) program is designed to specifically meet the needs of educational practitioners seeking advanced leadership position in a range of PK-12 educational institutions. Graduates will be able to apply their knowledge and skills to transform educational institutions and meet the demands of an ever-changing society. Marital, Couple, and Family Counseling/Therapy (PhD) The Doctor of Philosophy (PhD) program in Counseling is CACREP-accredited and provides a specialization in marital, couple, and family counseling / therapy for students who hold a master's degree in counseling or a related discipline from a regionally accredited college or university. The program trains students for leadership positions in counseling and related fields. Nursing (BSN to PhD) This program is designed for the BSN graduates with a nursing license (RN), who want to achieve the highest level of nurse education through an efficient path while developing the professional opportunities that lead to life-long achievement. Nursing (PhD) The PhD provides a framework for inquiry that is responsive to global trends and contemporary challenges in nursing and health care. It is grounded in a perspective that seeks justice, eschews prejudice, and embraces community service. Educational experience is enhanced by the multicultural and multifaceted nature of South Florida. Nursing Practice (DNP) - Post Baccalaureate DNP, specialization in Adult-Gerontology Acute Care A specialization in Acute Care provides a minimum of 500 hours of clinical learning including an acute care practicum. Develop the expertise necessary for patient management of high-risk critically ill adults and their families and advanced nursing practice skills across the wellness-illness continuum. Nursing Practice (DNP) - Post Baccalaureate DNP, specialization in Anesthesiology This program is designed for registered nurses seeking to enter the nurse anesthesia profession. Barry University's well-rounded anesthesiology faculty includes Certified Registered Nurse Anesthetists (CRNAs) and instructors from a variety of backgrounds. Our broad experiences provide our students with the ideal learning environment. The science-based curriculum will help you develop your expertise in anesthesiology, pharmacology, and physiology, as well as a broad understanding of the U.S. healthcare system and advanced practice. Our graduates have excellent pass rates on the NCE licensing exam and are highly sought after by hospitals and anesthesia groups nationwide. Nursing Practice (DNP) - Post Baccalaureate DNP, specialization in Family Practice A specialization in Family Practice provides a minimum of 500 hours of clinical learning including a practicum in family wellness. Develop the expertise necessary for the management of individuals and their families across the wellness-illness continuum. Nursing Practice (DNP) Online Our Doctorate of Nursing Practice (DNP) program is for nurses who have already obtained their Master of Science in Nursing. This program allows you to complete the DNP program within five semesters (two years) plus completion of the DNP project. One on-campus session will be required. Nursing Practice (DNP) Online Specialization in Anesthesiology This practice-focused doctoral program has been designed for Certified Registered Nurse Anesthetists (CRNAs) holding a master's degree or higher. The Doctor of Nursing Practice (DNP) with a specialization on Anesthesiology prepares CRNAs to acquire the clinical, organizational, financial and leadership knowledge to design and implement programs of care delivery which significantly impact health care outcomes. Organizational Learning & Leadership (EdD) Specialization in Educational Leadership This educational doctoral (EdD) program is designed to specifically meet the needs of educational practitioners seeking advanced leadership position in a range of PK-12 educational institutions. Graduates will be able to apply their knowledge and skills to transform educational institutions and meet the demands of an ever-changing society. Organizational Learning & Leadership (EdD) Specialization in Higher Education Administration This doctoral program prepares you to positively contribute to areas such as research, policy development, law, history of education, and the teaching/learning process. Through a diversified curriculum, you will be exposed to leadership theories, dynamics of change, and the integration of a cybernetics framework and be prepared to work toward a research platform and teaching agenda that complement the higher education context. Organizational Learning & Leadership (EdD) Specialization in Human Resource Development You can achieve an EdD in the field of Human Resource Development (HRD). This practitioner doctoral program advances lifelong learning for students who want to further their knowledge in HRD, as well as develop their competitive advantage as a vision-driven leader. Organizational Learning and Leadership (EdD) You can achieve an EdD in the field of Human Resource Development (HRD). This practitioner doctoral program advances lifelong learning for students who want to further their knowledge in HRD, as well as develop their competitive advantage as a vision-driven leader. Social Work (PhD) The Doctoral Program in Social Work is organized around the principle that direct practice and scholarly inquiry are complementary. The program is designed to train leaders who will take positions as social work educators, researchers and scholars, supervisors and consultants, and advanced practitioners who will serve as the stewards of the profession. Accounting (MS) Comprehensive program designed for students seeking a quality accounting program with a strong focus ethics and social responsibility. Fulfills requirements to sit for license/certification examinations: Certified Public Accountant (CPA), Certification in Financial Management (CFM), Certification in Management Accounting (CMA). Administration (MA) The Master of Arts in Administration develops the critical administrative competencies that contribute to workplace success. This graduate degree program is designed for adult learners focusing on administration, leadership, communication, and teamwork. 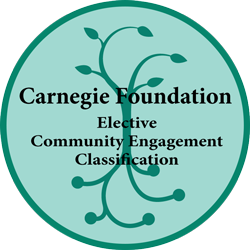 You gain a foundation in administrative theories, applications and approaches within the broad social, economic, technological, and political environments of private, public, or nonprofit organizations. This program fully available both in class and online. Administration (MA) Online The Master of Arts in Administration (MAA) degree program is designed for working professionals with increasing responsibility for leading and managing modern organizations. It is a thirty six (36) credit hour graduate degree program that addresses topics related to administration, leadership, applied research, values and ethics, strategy, human resources, diversity, finance, project management, and information technology. Adult Literacy Certificate The Adult Literacy Certificate option is available for individuals who wish to become highly-qualified literacy professionals to teach secondary, college, and adult learners. The ALC Program introduces andragogy (the art and science of teaching adult learners), seminal research-based literacy theories, differentiated effective instructional practices, and literacy intervention strategies relevant to teaching secondary, college and adult learners. Adult-Gerontology Acute Care Nurse Practitioner (Post Graduate's Certificate) This Post Master's Certificate program prepares RNs who have a Master's Degree in Nursing to obtain a Nurse Practitioner certification with a focus on Adult-Gerontology Acute Care. This certification also allows students to become a nurse educator or a nurse administrator. Advanced Clinical Social Work, Full Time This program prepares students for clinical practice with individuals, families, and groups. Students advance their careers by utilizing trauma-informed therapeutic models in various practice settings such as schools, hospitals, military, public safety, non-profit settings, and private practice. Students also incorporate trauma-response community practice and human services administration. Advanced Clinical Social Work, Part Time This program prepares students for clinical practice with individuals, families, and groups. Students advance their careers by utilizing trauma-informed therapeutic models in various practice settings such as schools, hospitals, military, public safety, non-profit settings, and private practice. Students also incorporate trauma-response community practice and human services administration. Autism Certificate The certificate program includes various behavioral management techniques appropriate for children with autism and children with emotional handicaps and can be completed in four courses and a practicum. Autism Endorsement The autism endorsement courses, approved by the Florida Department of Education, are offered as either stand-alone or elective courses for teachers who want to further their knowledge and expertise in teaching students with autism. Biomedical Sciences (MS) Prepare for acceptance to medical or dental school or for a dynamic career in a professional research environment with a master's in biomedical sciences. Business Administration (MBA) Comprehensive program designed to provide students with a global business perspective and tools for intelligent problem solving by using best practices and contemporary methodologies. MBA specializations in marketing, accounting, finance, health service administration, international business and management. Business Administration (MBA) in Health Services Administration The Master of Business Administration in Health Services Administration online program gives you a comprehensive understanding of how to lead a successful healthcare organization, preparing you to advance into upper-level and executive positions within this evolving industry. Business Administration (MBA) in International Business A Master of Business Administration in International Business online degree will prepare you to excel in an upper-level management or director role. This in-depth and ethics-driven program suits engaged learners who want to influence and achieve change on a global-market level while maintaining an appreciation for the social, legal, and ethical issues that impact business management. Business Administration (MBA) Online Designed with today's business professional in mind, the Barry University Master of Business Administration online program emphasizes management essentials such as finance, accounting, and economics while also including core courses that pair a strategic and ethical worldview that is socially responsible and environmentally sustainable. Business Administration (MBA) Online Specialization in Management Prepare to transition into a broad range of upper-level management roles with a Master of Business Administration in Management degree from Barry University online. A corporate management worldview is emphasized in this comprehensive program designed to provide you with a global business perspective and the tools for intelligent problem-solving using best practices and contemporary methodologies. Business Administration (MBA) Online Specialization in Marketing The Barry University Master of Business Administration in Marketing online program is action oriented and values driven, preparing you to advance into upper-level leadership positions within the evolving realm of global marketing. Business Administration (MBA) Specialization in Accounting Comprehensive program designed to provide students with a global business perspective and tools for intelligent problem solving by using best practices and contemporary methodologies. MBA specializations in marketing, accounting, finance, health service administration, international business and management. Business Administration (MBA) Specialization in Finance Comprehensive program designed to provide students with a global business perspective and tools for intelligent problem solving by using best practices and contemporary methodologies. MBA specializations in marketing, accounting, finance, health service administration, international business and management. Business Administration (MBA) Specialization in Health Services Administration Comprehensive program designed to provide students with a global business perspective and tools for intelligent problem solving by using best practices and contemporary methodologies. MBA specializations in marketing, accounting, finance, health service administration, international business and management. Business Administration (MBA) Specialization in International Business Comprehensive program designed to provide students with a global business perspective and tools for intelligent problem solving by using best practices and contemporary methodologies. MBA specializations in marketing, accounting, finance, health service administration, international business and management. Business Administration (MBA) Specialization in Management Comprehensive program designed to provide students with a global business perspective and tools for intelligent problem solving by using best practices and contemporary methodologies. MBA specializations in marketing, accounting, finance, health service administration, international business and management. Business Administration (MBA) Specialization in Marketing Comprehensive program designed to provide students with a global business perspective and tools for intelligent problem solving by using best practices and contemporary methodologies. MBA specializations in marketing, accounting, finance, health service administration, international business and management. Clinical Biology (MS) Specialization in Histotechnology Histotechnology is a structural science that is concerned with evaluation of tissues, their cellular morphology and their chemical composition. Clinical Biology (MS) Specialization in Laboratory Management This master's program in clinical biology is designed to prepare laboratory and allied health professionals for career advancement by providing interdisciplinary educational opportunities in research, biotechnology, clinical practice and healthcare law, ethics and leadership. Clinical Mental Health Counseling (MS) This specialization is CACREP-accredited and includes the academic requirements for certification as a mental health practitioner and for licensure as a Mental Health Counselor. This program provides the necessary coursework to prepare students to function as a Mental Health Counselor in applied settings. Counseling (MS) Specialization in Clinical Mental Health Counseling This specialization is CACREP-accredited and includes the academic requirements for certification as a mental health practitioner and for licensure as a Mental Health Counselor. This program provides the necessary coursework to prepare students to function as a Mental Health Counselor in applied settings. Counseling (MS) Specialization in Clinical Rehabilitation This specialization provides students with knowledge and skills for counseling the physically and mentally disabled. The Program includes coursework and clinical experiences to increase the student's understanding of counseling for various rehabilitation populations and settings. Counseling (MS) Specialization in Marital, Couple, Family Counseling & Therapy This specialization is CACREP-accredited and includes the academic requirements for licensure as a Marriage and Family Therapist. This program provides the necessary coursework to prepare students to function as a Marriage and Family Therapist in applied settings. Counseling (MS) Specialization in School Counseling This specialization is CACREP-accredited and approved by the Florida State Department of Education to prepare school counselors at the elementary and secondary levels and leads to Florida certification in Guidance and Counseling PK-12. Provides the necessary coursework to prepare students to function as a school counselor in applied school settings, including counseling students, and consulting with teachers, administrators, and parents within the school setting. Curriculum and Instruction (MS) Online Specialization in Early and Middle Childhood Education The Barry University Master of Science in Curriculum & Instruction – Early and Middle Childhood Education online program gives you a comprehensive understanding of how to develop curriculum using educational theory and student evaluation. Graduates will be able to adhere to organizational standards to evaluate, design, and implement instructional materials. Curriculum and Instruction (MS) Online Specialization in Mathematics Education The Barry University Master of Science in Curriculum & Instruction – Mathematics Education online program is designed for P-12 teachers aspiring to add mathematics pedagogy and current theoretical knowledge into their instructional practices. Curriculum and Instruction (MS) Specialization in Early and Middle Childhood Designed for Preschool – 8th grade educators, this program has core courses designed to enhance curriculum expertise, pedagogical knowledge, and teacher leadership with an interdisciplinary specialization which focuses on increasing content area knowledge. Curriculum and Instruction (MS) Specialization in English Designed for educators working at the middle or secondary levels, this program's core courses enhance curriculum expertise, pedagogical knowledge and teacher leadership with a specialization core aimed at enhancing content area knowledge in the areas of English, Literature and Writing. Curriculum and Instruction (MS) Specialization in Mathematics Education Designed for both practicing and future educators at the P-12 levels who want to develop the latest theoretical knowledge in mathematics pedagogy and the integration of this knowledge into instructional practices. Curriculum and Instruction (MS) Specialization in Social Sciences Designed for educators working at the middle or secondary levels, this program has core courses aimed to enhance curriculum expertise, pedagogical knowledge and teacher leadership with a specialization core aimed at enhancing content area knowledge in the areas of sociology, American history, government and political science. Dual Program - Health Services Administration (MS) / Master of Public Health (MPH) Health care executives are the health professionals who most directly impact health care delivery and are responsible for ensuring patient access to treatment, promoting quality, and increasing staff morale on a day-to-day basis. Earn a Master's Degree in both Health Services Administration and Public Health. This dual-degree program is structured to include coursework in a number of health disciplines so students can have numerous opportunities in a variety of managerial and administrative positions within health administration and public health. Dual Program - Sport Management (MS) / Business Administration (MBA) A dual-degree in Sport Management and Business Administration (MS/MBA) can help you succeed at an advanced level in the competitive area of sports. This degree provides you with both sport industry specific skills and in-depth business knowledge. A combination of courses in the Sport and Exercise Science Department and the Andreas School of Business gives you the opportunity to develop top management, marketing, and financial skills and allows you to develop a comprehensive knowledge of the sport enterprise. Both the sport management program and the MBA are structured to provide you with the richest combination of theory and hands-on experience available. A critical component of your program is our powerful internship program. Early and Middle Childhood Specialization - Curriculum and Instruction (MS) Designed for Preschool – 8th grade educators, this program has core courses designed to enhance curriculum expertise, pedagogical knowledge, and teacher leadership with an interdisciplinary specialization which focuses on increasing content area knowledge. Educational Leadership (MS) Obtain a master's degree and Level I Florida state certification in Educational Leadership. This is a state approved program. Educational Leadership (MS) Online The Master of Science in Educational Leadership program from Barry University is designed for educators who want to pursue leadership opportunities both in state and out of state in private, charter, or parochial schools. This 100 percent online program, taught by the same distinguished faculty who teach on campus, will give you the knowledge and professional skill sets you need to become a professional leader. Educational Leadership with Florida Certification (MS) Online Gain the knowledge, skills, and dispositions you need to become a highly accomplished professional leader in Florida public school districts—as well as charter, private, or parochial school settings—with a Master of Science in Educational Leadership with Florida Certification from Barry University. This 100 percent online program is designed for Florida-certified teachers seeking to obtain Level I certification in Florida. Educational Leadership without certification (MS) Earn your master's degree and meet your professional needs with flexible choice of coursework. This program is for those who do not hold a professional teaching certificate. English Specialization - Curriculum and Instruction (MS) Designed for educators working at the middle or secondary levels, this program's core courses enhance curriculum expertise, pedagogical knowledge and teacher leadership with a specialization core aimed at enhancing content area knowledge in the areas of English, Literature and Writing. Exceptional Student Education (MS) This degree program offers a comprehensive understanding of various exceptionalities and the acquisition of valuable inclusionary strategies to meet the unique individual needs of children in elementary, middle, and secondary schools. Exceptional Student Education (MS) Online Learn the appropriate instructional strategies and techniques to address the needs of students with exceptionalities with a Master of Science in Exceptional Student Education from Barry University. This 100 percent online program is designed for working professionals—with or without teaching experience—who want to work with K-12 children and youth with mild disabilities, both academic and behavioral, inside or outside of public schools. Family Practice Nurse Practitioner (Post Graduate's Certificate) This Post Master's Certificate program prepares RNs who have a Master's Degree in Nursing to obtain a Nurse Practitioner certification with a focus on Family Practice. This certification also allows students to become a nurse educator or a nurse administrator. Health Services Administration Health care executives are the health professionals who most directly impact health care delivery and are responsible for ensuring patient access to treatment, promoting quality, and increasing staff morale on a day-to-day basis. Earn a Master's Degree in both Health Services Administration and Public Health. This dual-degree program is structured to include coursework in a number of health disciplines so students can have numerous opportunities in a variety of managerial and administrative positions within health administration and public health. Health Services Administration (MS) Health care executives are the health professionals who most directly impact health care delivery and are responsible for ensuring patient access to treatment, promoting quality, and increasing staff morale on a day-to-day basis. Earn a Master's Degree in Health Services Administration . This degree program is structured to include coursework in a number of health disciplines so students can have numerous opportunities in a variety of managerial and administrative positions within hospitals, physicians' practices , nursing homes, insurance companies, managed care organizations and other sectors of the health care industry. Health Services Administration (MS) / Master of Public Health (MPH) Dual Degree Program Health care executives are the health professionals who most directly impact health care delivery and are responsible for ensuring patient access to treatment, promoting quality, and increasing staff morale on a day-to-day basis. Earn a Master's Degree in both Health Services Administration and Public Health. This dual-degree program is structured to include coursework in a number of health disciplines so students can have numerous opportunities in a variety of managerial and administrative positions within health administration and public health. Health Services Administration Graduate Certificate in Clinical & Epidemiological Research Methods Designed for current or aspiring health care managers seeking to develop competencies in the business and scientific research environment. Protocol development and hypothesis testing are important components of the curriculum. Health Services Administration Graduate Certificate in Health Care Leadership Designed for current or aspiring health care managers who desire to increase or advance their career mobility. Health Services Administration Graduate Certificate in Health Care Planning and Informatics Designed for those health care managers seeking skills in organizational assessment, reengineering and strategic planning in the health care setting. Health Services Administration Graduate Certificate in Medical Group Practice Management Designed for managers who run or seek to run group medical management practices in private practice settings, in medical centers, or in the public sector. Health Services Administration Graduate Certificate in Quality Improvement and Outcomes Management Designed for managers and functional specialists charged with work and/or process improvement and outcomes management in the clinical and business environment. Higher Education Administration (MS) This program covers areas such as organizational learning, governance, research, and student development within the context of post-secondary education, vis-à-vis current issues such as, access, accountability, student demographics, and internationalization. Higher Education Administration (MS) Online The Master of Science in Higher Education Administration online program opens up dynamic leadership opportunities in higher education by giving you a broad perspective focusing on both student affairs and academic administration. Histotechnology - Clinical Biology (MS) Histotechnology is a structural science that is concerned with evaluation of tissues, their cellular morphology and their chemical composition. Histotechnology Specialization - Clinical Biology (MS) Histotechnology is a structural science that is concerned with evaluation of tissues, their cellular morphology and their chemical composition. Human Performance and Wellness (MS) The MS in Human Performance and Wellness program offers four areas of specialization: athletic training, biomechanics, exercise physiology, and Sport, Exercise, and Performance Psychology. If you are interested in multiple areas of study, you can enroll in the general Movement Sciences program. This provides the flexibility to customize your own program of advanced study in order to enhance your professional preparation and expertise in your current field or prepare for future doctoral studies. Human Performance and Wellness (MS) Specialization in Sport, Exercise & Performance Psychology Sport, Exercise, and Performance Psychology can provide you with the basis for understanding the thought processes and attitudes of athletes and individuals involved in sport, exercise, and non-sport performance activities. With this understanding, you can then learn to help others improve their performance and/or psychological well-being. Human Performance and Wellness (MS) Specialization in Sport, Exercise & Performance Psychology / Master of Business Administration (MBA) Dual Program A dual-degree in Sport, Exercise & Performance Psychology and Business Administration (MS/MBA) can help you succeed at an advanced level in the competitive area of sport psychology. Sport, Exercise, and Performance Psychology can provide you with the basis for understanding the thought processes and attitudes of athletes and individuals involved in sport, exercise, and non-sport performance activities. With this understanding, you can then learn to help others improve their performance and/or psychological well-being. This degree provides you with both sport psychology specific skills and in-depth business knowledge. A combination of courses in the Sport and Exercise Science Department, and the Andreas School of Business, gives you the opportunity to develop top management, marketing, and financial skills and allows you to develop a comprehensive knowledge of the sport enterprise. Human Resource Development (MS) This degree program focuses on key competencies surrounding individual, group, and organizational learning. This program is designed for students to lead and manage change in organizations and develop people in the workplace. Career opportunities include positions like Director of Human Resources, Manager of Training, or Career Coach. Laboratory Management - Clinical Biology (MS) This master's program in clinical biology is designed to prepare laboratory and allied health professionals for career advancement by providing interdisciplinary educational opportunities in research, biotechnology, clinical practice and healthcare law, ethics and leadership. Laboratory Management Specialization - Clinical Biology (MS) This master's program in clinical biology is designed to prepare laboratory and allied health professionals for career advancement by providing interdisciplinary educational opportunities in research, biotechnology, clinical practice and healthcare law, ethics and leadership. Marital, Couple, Family Counseling & Therapy (MS) This specialization is CACREP-accredited and includes the academic requirements for licensure as a Marriage and Family Therapist. This program provides the necessary coursework to prepare students to function as a Marriage and Family Therapist in applied settings. MBA Comprehensive program designed to provide students with a global business perspective and tools for intelligent problem solving by using best practices and contemporary methodologies. MBA specializations in marketing, accounting, finance, health service administration, international business and management. Montessori (MS) Specialization in Early Childhood Education This degree prepares one to implement a holistic, personalized, self-paced, hands-on developmentally appropriate curriculum for young children (ages two and a half through six) using the Montessori Method. Montessori (MS) Specialization in Elementary Education This degree prepares one to implement a holistic, personalized, self-paced, hands-on developmentally appropriate curriculum for children (ages six through twelve) using the Montessori Method. Nurse Practitioner (MSN) Adult-Gerontology Acute Care The Master of Science in Nursing will prepare you to advance to a leadership role as an adult-gerontology acute care nurse practitioner. Nurse Practitioner (MSN) Family Practice The Master of Science in Nursing will prepare you to advance to a leadership role as a family nurse practitioner. Nurse Practitioner (Post Master's Certificate) – Acute Care This Post Master's Certificate program prepares RNs who have a Master's Degree in Nursing to obtain a Nurse Practitioner certification with a focus on Adult-Gerontology Acute Care. This certification also allows students to become a nurse educator or a nurse administrator. Nurse Practitioner (Post Master's Certificate) – Family Practice This Post Master's Certificate program prepares RNs who have a Master's Degree in Nursing to obtain a Nurse Practitioner certification with a focus on Family Practice. This certification also allows students to become a nurse educator or a nurse administrator. Public Administration (MPA) The Master of Public Administration (MPA) is designed as a professional development program for adult learners with a focus on the administration of public, nonprofit, and other organizations that serve a public purpose. The program is grounded in an assessment of how the modern public sector workplace has evolved and the factors responsible for its evolution. It is the mission of the MPA program to instill in learners a commitment to ethical public service for the protection of the public interest and public trust, and to finding solutions to human, social, economic, and environmental problems. This program fully available both in class and online. Public Administration (MPA) Online The Master of Public Administration (MPA) online program is designed as a professional development program for adult learners with a focus on the administration of public, not-for-profit, and other organizations which serve a public purpose. Its philosophical background and explicit content are grounded in an assessment of how the modern public sector workplace has evolved and the factors responsible for this evolution. It is the mission of the MPA to instill in learners a commitment to ethical public service for the protection of the public interest and public trust, and generate solutions to human, social, economic and environmental problems. Public Administration (MPA) Online Specialization in Nonprofit As a part of the MPA program the Specialization will inform the distinctive administration skills needed by those working in nonprofit agencies and those working in both private and public sectors that work in partnership with nonprofit organizations. This specialization is intended for new and current Barry University MPA students who want to acquire skills in leading nonprofit organizations. The specialization courses are offered fully online and at selected sites across the state of Florida. Public Administration (MPA) Specialization in Nonprofit Students in the MPA program that have an interest in the nonprofit sector also have an opportunity to earn a Specialization in Nonprofit Administration. As a part of the MPA program the Specialization will inform the distinctive administration skills needed by those working in nonprofit agencies and those working in both private and public sectors that work in partnership with nonprofit organizations. This specialization is intended for new and current Barry University MPA students who want to acquire skills in leading nonprofit organizations. The specialization courses are offered fully online and at selected sites across the state of Florida. Reading (MS) A Master of Science in Reading prepares the educator to become a reading specialist, reading leader, reading coach, or reading resource person who works in the K-12 school environment. This program is state approved and meets the requirements of the Florida reading certification. This certification has reciprocity with several states. Current Florida certification credentials are required for admission to the MS in Reading program. Reading (MS) Online A Master of Science in Reading online program prepares the educator to become a reading specialist, reading leader, reading coach, or reading resource person who works in the K-12 school environment. Reading Endorsement The state approved Reading Endorsement option is available for students who do not wish to obtain a master's degree, but still wish to meet state requirements and become a highly-qualified teacher of Reading. This program requires that you hold a Florida State Teaching Certification. Reading without certification (MS) This degree prepares the educator to become a reading specialist, reading leader, reading coach, or reading resource person who works in the K-12 school environment. Current Florida Teacher Educator's certification credentials are not necessarily a requirement for admission to this graduate program. School Counseling (MS) This specialization is CACREP-accredited and approved by the Florida State Department of Education to prepare school counselors at the elementary and secondary levels and leads to Florida certification in Guidance and Counseling PK-12. Provides the necessary coursework to prepare students to function as a school counselor in applied school settings, including counseling students, and consulting with teachers, administrators, and parents within the school setting. School Psychology (MS) This degree program is designed for students who wish to work closely with individuals from birth to age 21 in the school environment. Social Sciences Specialization - Curriculum and Instruction (MS) Designed for educators working at the middle or secondary levels, this program has core courses aimed to enhance curriculum expertise, pedagogical knowledge and teacher leadership with a specialization core aimed at enhancing content area knowledge in the areas of sociology, American history, government and political science. Social Work (MSW) 32-Credit, Advanced Standing, Full Time Full-time students can earn a Master of Social Work in an accelerated 7-month Advanced Standing program if they have a BSW degree from a CSWE accredited program. MSW graduates are prepared for clinical practice in a variety of settings including but not limited to mental health, substance abuse, schools, child welfare, healthcare, gerontology, criminal justice/forensics, and private practice. Social Work (MSW) 32-Credit, Advanced Standing, Part Time Part-time students can earn a Master of Social Work in an accelerated 16-month Advanced Standing program if they have a BSW degree from a CSWE accredited program. Graduates are prepared for clinical practice in a variety of settings including but not limited to mental health, substance abuse, schools, child welfare, healthcare, gerontology, criminal justice/forensics, and private practice. Evening and Weekend Options are available. Social Work (MSW) 63-Credit, Full Time This program prepares students for clinical practice with individuals, families, and groups. Students advance their careers by utilizing trauma-informed therapeutic models in various practice settings such as schools, hospitals, military, public safety, non-profit settings, and private practice. Students also incorporate trauma-response community practice and human services administration. Social Work (MSW) 63-Credit, Part Time This program prepares students for clinical practice with individuals, families, and groups. Students advance their careers by utilizing trauma-informed therapeutic models in various practice settings such as schools, hospitals, military, public safety, non-profit settings, and private practice. Students also incorporate trauma-response community practice and human services administration. Special Education (Exceptional Student Education, MS) This degree program offers a comprehensive understanding of various exceptionalities and the acquisition of valuable inclusionary strategies to meet the unique individual needs of children in elementary, middle, and secondary schools. Sport Management (MS) The Master of Science (MS) Degree in Sport Management combines both theory and practice to prepare you for opportunities in management in a variety of sport, recreation, and health promotion areas (e.g., arena and dome management; amateur and professional sports; high school and college athletics; resort and tourism industries; parks and recreational centers; fitness and wellness centers; etc.). Sport Management (MS) / Business Administration (MBA) Dual Program A dual-degree in Sport Management and Business Administration (MS/MBA) can help you succeed at an advanced level in the competitive area of sports. This degree provides you with both sport industry specific skills and in-depth business knowledge. A combination of courses in the Sport and Exercise Science Department and the Andreas School of Business gives you the opportunity to develop top management, marketing, and financial skills and allows you to develop a comprehensive knowledge of the sport enterprise. Both the sport management program and the MBA are structured to provide you with the richest combination of theory and hands-on experience available. A critical component of your program is our powerful internship program. Educational Leadership (EdS) Earn an advanced degree with Level I Florida state certification in Educational Leadership (for individuals who already hold a master's degree). This is a state approved program. Educational Leadership without certification (EdS) Earn a specialist degree to meet specific leadership career qualifications in both the public and private sectors. This program is for those who do not hold a professional teaching certificate. Montessori (EdS) Specialization in Early Childhood Education This degree prepares one to implement a holistic, personalized, self-paced, hands-on developmentally appropriate curriculum for young children (ages two and a half through six) using the Montessori Method. Montessori (EdS) Specialization in Elementary Education This degree prepares one to implement a holistic, personalized, self-paced, hands-on developmentally appropriate curriculum for children (ages six through twelve) using the Montessori Method. Reading without certification (EdS) This degree provides teachers with the knowledge and practice to become exemplary reading professionals, who make a difference for their students cognitively, affectively, and academically in literacy through holistic and traditional theoretical views of language and literacy development while embracing an ethic of care. Reading, EDS This degree provides teachers with the knowledge and practice to become exemplary reading professionals, who make a difference for their students cognitively, affectively, and academically in literacy through holistic and traditional theoretical views of language and literacy development while embracing an ethic of care. School Psychology, Specialist degree (SSP) This degree program is designed for students who wish to work closely with individuals from birth to age 21 in the school environment. Histotechnology Post-Baccalaureate Certificate (non-degree) Barry University's histotechnology program is one of only three programs of its kind in the United States accredited by the National Accrediting Agency for Clinical Laboratory Sciences (NAACLS).